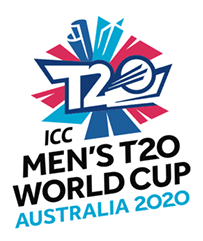 The 2020 edition of the T20 World Cup will be held in Australia but for the first time, it would be a standalone T20 World Cup for both, men and women. The women’s T20 World Cup will be held in February-March, 2020 while the men’s edition will begin in October-November, 2020. The Women’s T20 World Cup will see 10 teams divided into two groups of five apiece. Each of these five teams will face the other four before the top two in each group will make the semi-finals. This will be followed by the final that will be held in Melbourne. The Qualifiers are going on to decide on who the remaining two teams are. On the other hand, the men’s T20 World Cup will have 16 teams. Eight of these will be given a direct entry into the second round while the first round will see the remaining eight fight it out for the remaining four spots in the second round. These 12 teams will then be divided into two groups of six apiece with the top two sides from each group entering the semi-finals. Sri Lanka and Bangladesh will be joined by six other qualifiers in the men’s draw as well which will be decided over the course of the rest of 2019. The tournament will be played in Australia at a host of different venues including the Adelaide Oval in Adelaide, the Gabba in Brisbane, Kardinia Park in Geelong, Bellerive Oval in Hobart, MCG in Melbourne, SCG in Sydney and the Perth Stadium in Perth. ICC T20 World Cup 2020 fixtures: Complete list of matches, dates and venues are placed below. The women’s T20 World Cup venues include Manuka Oval in Canberra, Junction Oval and MCG in Melbourne, WACA in Perth and the Sydney Cricket Ground and Sydney Showground Stadium in Sydney.